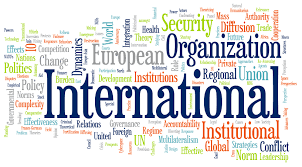 The United Nations is an intergovernmental organization tasked to promote international co-operation and to create and maintain international order. The World Health Organization is a specialized agency of the United Nations that is concerned with international public health. The mission is to contribute to the building of peace, the eradication of poverty, sustainable development and intercultural dialogue through education, the sciences, culture, communication and information. IMF's primary purpose is to ensure the stability of the international monetary system. Deals with labour problems, particularly international labour standards, social protection, and work opportunities for all. It deals with trade, investment, and development issues. Provides humanitarian and developmental assistance to children and mothers in developing countries. It is the main deliberative, policy-making and representative organ of the UN. The World Bank is an international financial institution that provides loans to countries of the world for capital projects. It is the UN system's authoritative voice on the state and behaviour of the Earth's atmosphere, its interaction with the oceans, the climate it produces and the resulting distribution of water resources. It is an intergovernmental economic organization with 36 member countries, founded in 1961 to stimulate economic progress and world trade. The Role is to promote and accelerate inclusive and sustainable industrial development (ISID) in Member States. WIPO was created in 1967 "to encourage creative activity, to promote the protection of intellectual property throughout the world. Hello, my name is Ashutosh Tiwari. I'm a 22 year old tech savvy & blogger.